1)	Your coffee roaster/retailer must start with the very best quality green coffee beans obtainable. 2)	It must be purchased fresh roasted AND whole bean from a reputable roasting company. 3)	You must know what your favorite coffees are. 4)	It must be properly stored. 5)	It must be properly ground. 6)	It must be properly brewed. Keep in mind that these are the steps necessary for an exquisite cup of the world's best coffee! You know, "The Perfect Cup"! They are all absolutes. This site is designed to make these six steps simple, easy, and relatively inexpensive. NOTE: What you will find below is the in-a-nutshell version. Each of these steps are covered in greater detail on separate pages. If you desire more depth, I urge you to view these pages. You are probably aware that all coffee is not created equal or you wouldn’t be reading this site. Right? Coffee can only be as good as it’s source. So, you need to find a Coffee Roasting Company that has an excellent green coffee importer. Arabicas are high-grown (usually 3000 feet and up) with a much wider range of taste and, depending on the handling, are considered to be much better in quality. Most specialty coffee shops use exclusively Arabica beans (You know, the stuff in the fancy valve bag.) with the possible exception of the addition of Robustas in some espresso blends. So with the above in mind, you see that the world's best coffee is found among the Arabica or high-grown green coffee beans. Remember the little coffee totin burro and Juan Valdez and “Mountain grown coffee; it's the richest kind”? They weren’t kidding around in those old commercials but I think they missed a few of our six steps! *	The tropical trees shade the delicate coffee plants from the hot afternoon sun. *	They also provide refuge for many delightful birds that happily eat the critters (you know, bugs) that damage coffee plants. So now we know we’re after the Arabica beans. The next step is to make sure we're getting the best of the high-growns, because the whole point here is to find the world's best coffee! Right? Seems simple enough? Well, do you have time to travel the world and "cup" coffee in hundreds of estates? It sounds like a good time to me but the point is, a good roasting company purchases coffee from an outfit that does all of that for them! A good coffee importer has special (and very fortunate) people that do this. Imagine, your primary responsiblity in life being to travel the world searching out the world's best coffee! Sheesh! These folks travel to literally hundreds of estates in dozens of regions. (someone has to) They “cup” numerous coffees and choose their favorites. They purchase the best of the best, from the top 2% of strictly Arabica coffees in the world. Then they pass this goodness on to Roasting Companies that concern themselves with the utmost in quality. One of the many benefits of this site is that we will take a look at the world's best coffee descriptions from my own experience as well as that of a successful brick-n-mortar coffee-roasting/coffee house owner, and (don’t take our word for it) that of, the above highly successful coffee importer who actually goes there and does that. Well Folks, I’m gonna start this section by really laying one on you. Some of you know this but many don’t. This is what most of the “biggy” coffee companies and commercial coffee roasters would rather not talk about. It’s also the reason that the commercial coffee industry is in a steady decline, while the specialty coffee business continues to grow and thrive! The vast majority of coffee that can be purchased in grocery stores, convenience stores, and in many specialty stores, and…well, almost anywhere for that matter, IS STALE or... possibly even VERY STALE! 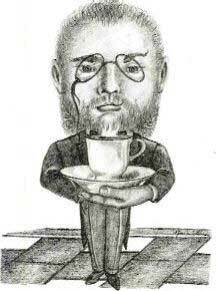 Now, Please understand that I’m not trying to ruin your regular cup of Joe here, but if you really love, and truly want to experience the world's best coffee you are about to be seriously spoiled! There’s a whole new world waiting for you when you try coffee that is truly fresh and of unquestionable quality. That's why I keep calling it "the world's best coffee"! Even the coffee you find in bulk bins in grocery stores is usually stale. What do I mean by stale? I mean it was roasted weeks or even months ago. Coffee, once roasted, is quite perishable. In whole bean, the quality diminishes noticeably after 10 days to 2 weeks. If the coffee is ground, forget it, the quality is dramatically lessened in hours and comparatively ruined within a few days. I’m sure you’ve bitten into a stale chip or piece of bread? You'll find that the difference between fresh coffee and stale is truly amazing! Don’t trust me; try me! If you follow the steps to the world's best coffee faithfully, you’ll see what I mean. You’ll think the coffee you’ve been drinking is Kah-Kah, pitoowee-el-yucko. You may even become a coffee snob (like me) and start storing your coffee in a cupboard next to the wine cellar! Or not. That’s one of the beauties of coffee. It’s a totally unique and individual experience. * A very smooth roast; in other words, the coffee gets roasted with a nice even heat or temperature, creating a consistent color and over-all quality. * Small batches help to ensure freshness. A good Roastmaster roasts to order. * Is cooled by air. Many coffee roasters use a water quenching method to cool the coffee and stop the roasting process. This is damaging to the quality of coffee, although, some would argue this point. 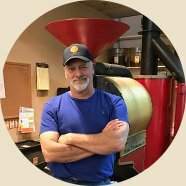 If you wish to get a more complete understanding of the roasting process, please check out my "coffee roasting tour” page. You may be shocked to learn that many of the superb choices in our world's best coffee list-don't start with a C. They come from dozens of countries, and believe it or not, range in taste from similar to dramatically different from one another. Some, you will love immediately and forever, others will grow on you, and yet others are kind of a love-hate thing. Sounds romantic, huh? From the Coffees of the World page, (click on the section heading above) you will access coffee descriptions galore to help you decide which selections of the world's best coffee will most likely become favorites and which ones will be easier on your tummy. Some of you, like me, will love all of them, so your effort applied towards experiencing “the world's best coffee” and "the perfect cup" will be more quickly rewarded. Is there really such a thing as "the perfect cup"? This should be an easy one: After all, the whole point here is to purchase fresh-roasted coffee, so you don’t need to concern yourself too much. Just store your wonderful fresh, whole bean, world's best coffee, in an airtight canister (preferably ceramic) or even better, one of those really cool vacuum canisters. Stick it in a cool place, (Oh God, please not the fridge!) out of direct sunshine, and preferably right next to your handy-dandy world's best coffee grinder. If you buy in quantity, I would suggest placing your extra poundage in Ziploc bags for a sound vapor barrier and throw them in the freezer. Just remember to let each pound of coffee come to room temperature before grinding. Frozen coffee breaks up into awful chunks of varied size in the grinder. It won’t brew as well and will result in weak coffee or worse. NOTE: Coffee is great for removing odors and moisture from your refrigerator. Baking soda is just as good and much cheaper. If you’d like to make grinding a no muss-no fuss joy, my advice here is to avoid blade grinders. They are noisy, inconsistent, and messy. Some folks like them and I don’t mind them but when you're in the morning rush, well, quick and simple is best for most. There are some great brewers that do the whole deal all in one fell swoop! They have a reservoir to store your world's best coffee beans. If you don’t have a problem with programming gadgets, it will grind the beans right into the filter! (you tell it when) It then automatically brews your coffee into an air-pot! No, I’m not kidding. Come on now, how cool is THAT? If you already own a coffee maker that you are happy with, then for grinding, my suggestion is a good burr grinder. This is a device that has a reservoir for your whole-bean coffee and allows an accurate and consistent adjustment for the grind. But! If you’re a glutton for punishment, there’s a gadget called a blade grinder: A blade grinder uses a blade to grind. Duh…Sounds too easy and you’re right. There is a bit more to it than that. A blade grinder works kind of like a food processor. Only it pulverizes your specialty-coffee beans into little bits. If things are going well, the longer you grind, the smaller the bits get. So, if you want a coarse grind, you're generally going to grind between seven and ten seconds. For drip coffee makers, you are looking at a few seconds longer. (check your grinder manual). In order to get an espresso grind out of a blade grinder, you have to grind for a good bit longer while uncaking the grounds from the inside of the reservoir, and holding your mouth just right...and truth be told, eh...it's not really possible. You just can't get the super fine consistency that you need for quality espresso. So, the process is really pretty simple, although I’ve managed to make it sound rather complicated. Just grind shorter for coarser and longer for finer-er and test your results. I’m not sure about my grammar, but experiment with determination and you’ll still be a likely candidate for... you guessed it, the world's best coffee and the illustrious perfect cup! In addition to “simplicity” these grinders are the least expensive of the lot, from $20-$35. Thus far we have learned that you must have a good bean, nay, the best coffee bean possible! That perfect bean must then be properly roasted and delivered to you "Whole Bean", in timely fashion. It must be stored properly once it is delivered. It must be room temperature before it is properly ground. Then, Obi-Juan Valdez, (sorry) it must be properly brewed! Coffee is 99% water, so you're not likely to experience the perfect cup with chemical laden tap water. Bottled or filtered is best, the latter with some type of reverse-osmosis or carbon filter will best do the trick. O.K. I love this part: The Good News! ; you can STOP using that water, change to bottled or bypass your softener and filter the water, and when you do, you'll be amazed at how much better your coffee really is! No Kidding! Fortunately for most of us an excellent, state-of-the-art coffee brewing apparatus will handle the rest of the equation. Again, I won’t go into great detail here because this is supposed to be the “in a nutshell” page. So remember to click on the blue title above for the long drawn out, but hopefully not boring version! On that page, I will discuss brewing methods, the best brewing equipment, tips and techniques, water filtration and more! Suffice it to say, those of you who have a good coffee machine will probably be happy using it. It is, after all, in your comfort zone. What we “know” is comfortable, and being that way is certainly one of the finer things in life. However, It can be argued that a French Press is the "best" way to experience the world's best coffee, at least, that Nirvana part. I’ll just let you “be” with that for now. That is altogether the wrong direction. Not to mention, the world's best coffee that you searched out for it’s incomparable quality is thus ruined. Sad, but this can be remedied and you don’t even need to trash your coffee brewer. This scenario can be entirely avoided by purchasing an inexpensive (or expensive) air-pot. They have the kind that pour and they have the kind that pump. These wonderful innovations will hold your coffee in a state of suspended perfection for several hours. Another advantage is that you can be brewing another pot of fresh, whilst sponsoring a caffeine-frenzied group of some sort. "The World's Best Coffee!" ...for indeed......it truly is. Tired of reading OR are you ready for one of the most exciting adventures of the trip. We are now ready to explore all of the countries that produce the very best coffee in the world! If you wish to take a break from our journey, be sure to book mark this page or the home page! If you've still got your hiking boots on, Let's continue our journey through the Coffees of the World! Discover the Coffees of the World! Descriptions of the Mouth Watering Kind!